How Much Does the 2018 RAM ProMaster City Cost? How Many MPG Does the 2018 RAM ProMaster City Get? What’s New for the 2018 RAM ProMaster City? ProMaster City vans were designed to serve today’s business needs and please modern drivers. A trim exterior hides a sizable hold for your daily loads. It handles up to 131 cubic feet of cargo. The interior measures 87 inches long, 51 inches high, and 60 inches wide, and cargo partitions are available. The maximum payload rating is a hefty 1,883 pounds. If you check around, you will find that this is a best-in-class rating. Furthermore, the van is powered by a 178-horsepower engine. Serious about performance, it generates 174 lb-ft. of torque and has a nine-speed automatic transmission. Businesses can watch their bottom line with the van’s best-in-class fuel economy. For highway driving it is rated at 28 mpg. City driving earns a car-like 21 mpg. That’s 24 mpg combined. Since the exterior is built sleek and upright, it is more aerodynamic. The streamlined build also makes it easier to maneuver in busy cities. A two-seat cabin is standard, but caterers and others who need to bring a crew may want the five-seat cabin. The modern interior offers important equipment such as an available rearview camera and a USB port. It’s always easier to stay safe when the driver can see what’s behind the van. Busy drivers will appreciate the standard tilt-telescoping steering wheel. You have extra places to put items with the front overhead storage bin. If you choose the second row, it has a 60/40 split-fold capability. On SLT editions, a UConnect five-inch touchscreen allows drivers to find entertainment and information. You also get heated side mirrors to wipe away moisture. Shoppers may choose to add heated front seats and other car-like amenities. For those on the go, it may be smart to upgrade to the navigation system. You can also get a Wi-Fi hotspot to help you keep in touch with the office when stuck at remote locations. Packed with airbags, it offers the same serious attitude toward safety you’ll find in all Ram vehicles. In fact, this van has a driver’s knee airbag, a plus when getting insurance for your business. To regulate travel, traction controls regulate the throttle and redistribute braking to certain wheels. The system works to prevent sliding, instability, and rollovers. Drivers will appreciate the help when carrying a heavy load. If towing, trailer sway control helps reduce the chances of an accident. 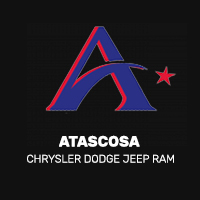 Get more information about the 2018 ProMaster City and other commercial vehicles at Allways Atascosa. Our knowledgeable staff has the answers you need to make an informed decision about your business purchase. * Vehicle pricing is an estimate for reference purposes only, and is not an offer to sell FCA US vehicles. “MSRP” excludes destination, taxes, title, and registration fees. Dealers set the actual transaction price. To obtain full pricing details, see your dealer. Pricing, discounts, incentives, and offers may change at any time without notification. ** Based on the Small Commercial Van Segment. EPA estimated 28 hwy mpg with 2.4L engine and nine-speed automatic transmission. Actual mileage may vary.